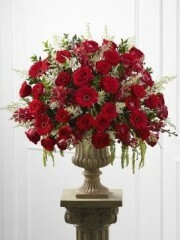 The Love & Honor Altar Arrangement blooms with the magic of the love's finest moment. 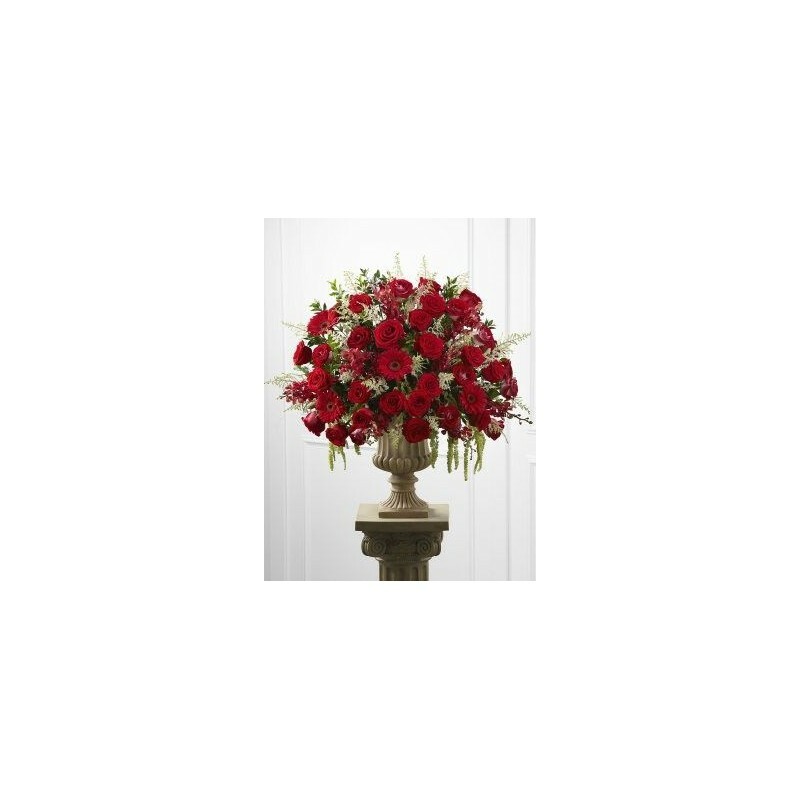 Red roses, white astilbe, bi-colored red and white roses, red mokara orchids, red gerbera daisies and fresh myrtle are brought together in a resin urn and displayed from a 3-foot pillar. 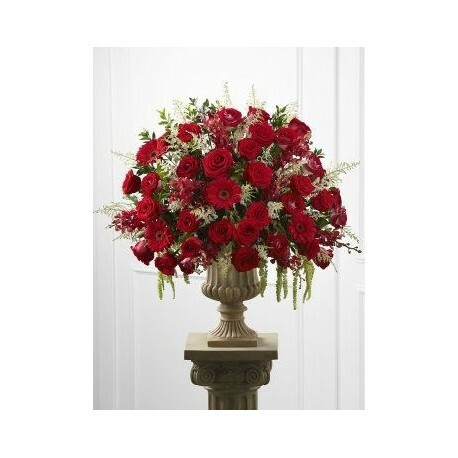 This arrangement will create a stunning focal point during your wedding ceremony Approx. 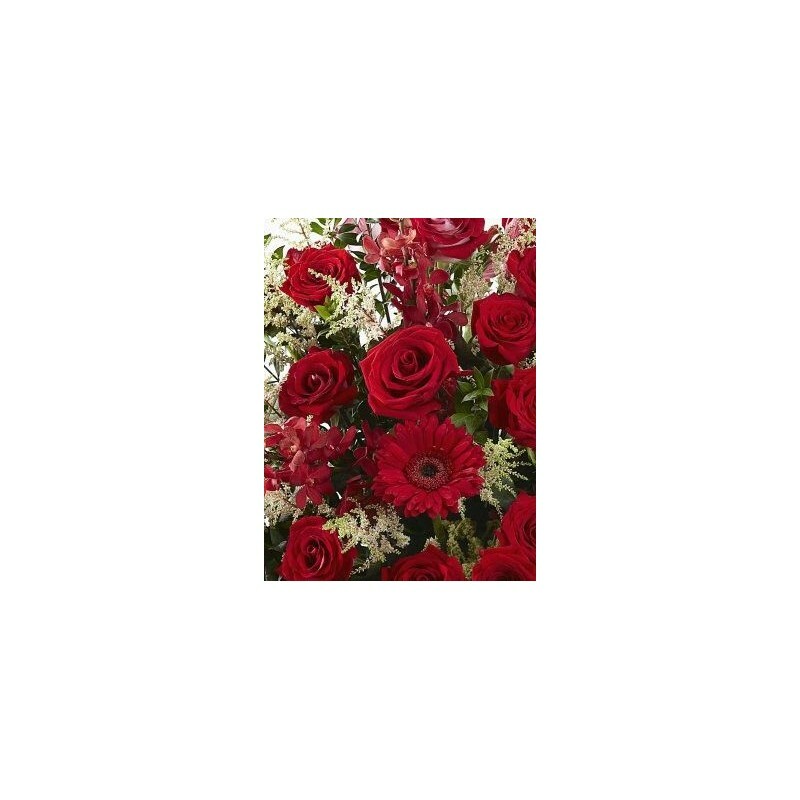 36"H x 36"W.